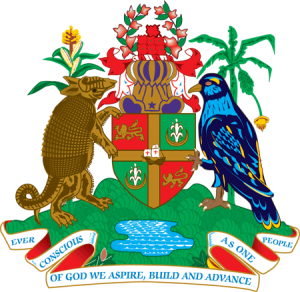 Constitution of Grenada (Rights and Freedoms) (Amendment) Bill, 2016. Accordingly, pursuant to the Constitutional Referendum Act, 2016 (as amended) the Governor-General has appointed Tuesday 4th October, 2016 as the final day for registration of electors for participation on Constitutional Referendum Day. All persons who are entitled to be registered as electors in Grenada and who have not yet been so registered are invited to present themselves at the Parliamentary Elections Constituency Office nearest to their residence so that they can be registered as electors and exercise their franchise on Constitutional Referendum Day. A person who was registered as not serving in the Royal Grenada Police Force and now so serves. Please be advised that re-registration involves the replacement of the voter identification card at a cost of $20.00. However, please be advised that the cost of replacement of the voter identification card does not apply to re-registration which is necessary by virtue of the person beginning or ceasing to serve in the Royal Grenada Police Force. Accordingly, we invite all persons qualifying under any of the five categories of persons described above to present themselves at the Parliamentary Elections Constituency Office nearest to their residence so that they can be registered as electors and exercise their franchise on constitutional referendum day. The general public of Grenada is also informed that the date appointed for the return of the seven writs of constitutional referendum is Monday 14th November, 2016.